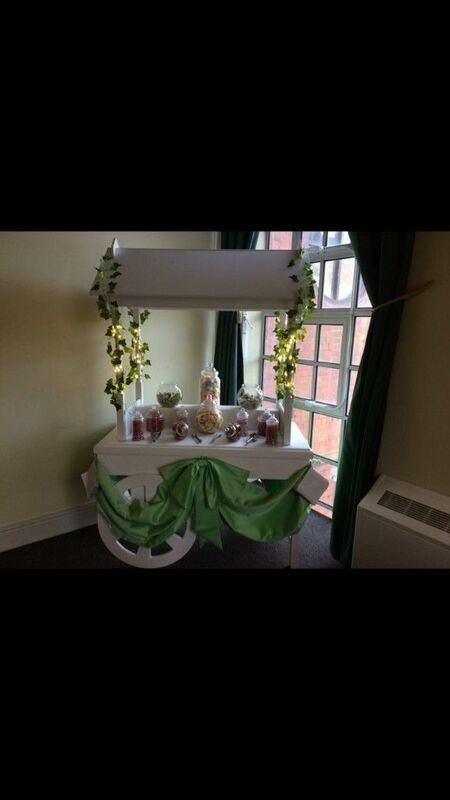 This characteristic traditional cart will be marveled in any event. The jars are filled with all your childhood favorites bought from the most popular famous brands. 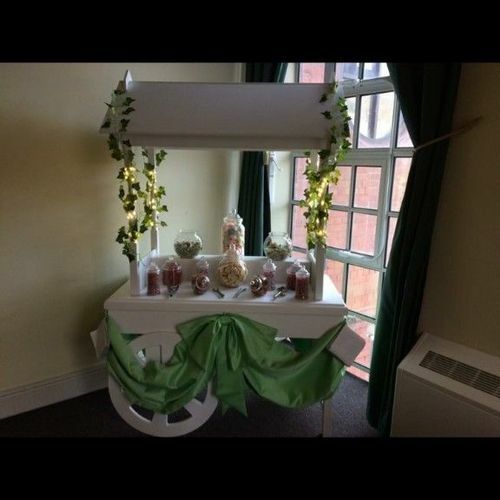 Beautiful bows to match your colour scheme along with a pink and white stripped roof and also led lights and ivy make this cart look lovely.